Between the 20th – 24th of November 2018 the Ideal Home Show Christmas 2018 will be taking place in Olympia, London and we will be displaying some of our best and most exciting products. We have been exhibiting our range of windows, doors and conservatories at the Ideal Home show for many years and are very pleased to be back again. 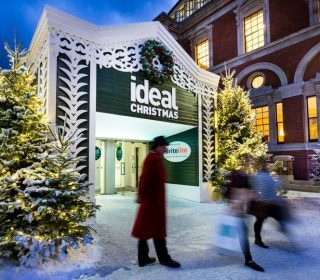 The Ideal Home Show Christmas 2018 promise to transform Olympia London into a festive winter wonderland. Featuring performances on the Bandstand, guest appearances on the Christmas Theatre, experts on hand offering their own festive hints and tips, plus visitors enjoyed lots of shopping from a host of exciting, unique and innovative exhibitors.